The Horror Movie BBQ: Gross, but they still get the girls! In the early 90s, I discovered the Toxic Avenger thanks to a random renting of Toxic Avenger 3. I fell in love with that lump headed hero instantly. Shortly after that, Toxie hit the small screen with a cartoon in which his ragtag band of toxic friends known as the Toxic Crusaders fought crime and saved the environment. This cartoon followed a trend that gave a lot of R-Rated movies a Saturday morning cartoon. Movies like Rambo, Police Academy, Swamp Thing(Although, it's more of a comic book adaptation) and other violent movies were marketed toward us kiddies and turned into merchandising machines. Toxie and his crew were no different. In addition to the cartoon, action figures followed. Backed by Playmates, the company responsible for Ninja Turtles, Toxie and his friends march into our hearts(even if my mean mom never let me have any. ha!) witht heir bright colors, bizarre sculpting, and gross features. Indeed, they were following a trend that the Ninja Turtles set in action figures and in fact, some even used parts from their Turtle friends. And quite frankly, they just looked so darn cool! I mean, look at them! 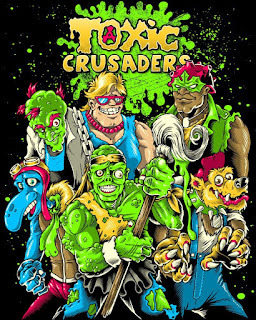 So, popular horror/scifi/cult film t-shirt company Rotten Cotton will be releasing a brand new Toxic Crusaders shirt (which can be seen below). They released a teaser image today and it's a pretty rad looking shirt. 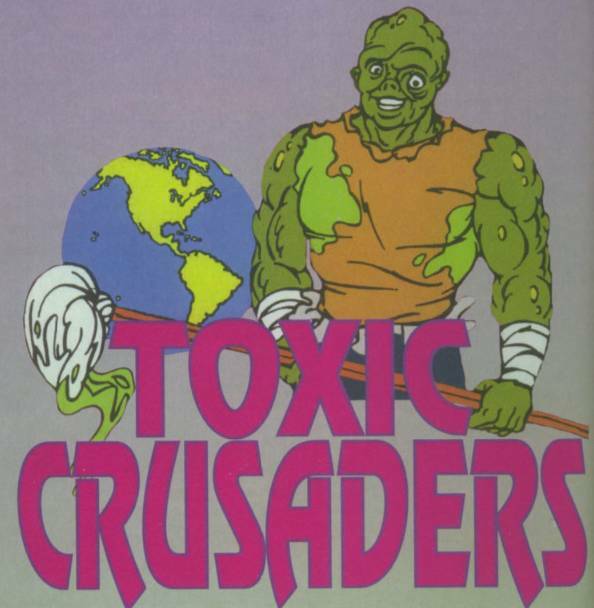 If you're a Troma fan or just have fond memories of the Toxic Crusaders, you have to pick this up! 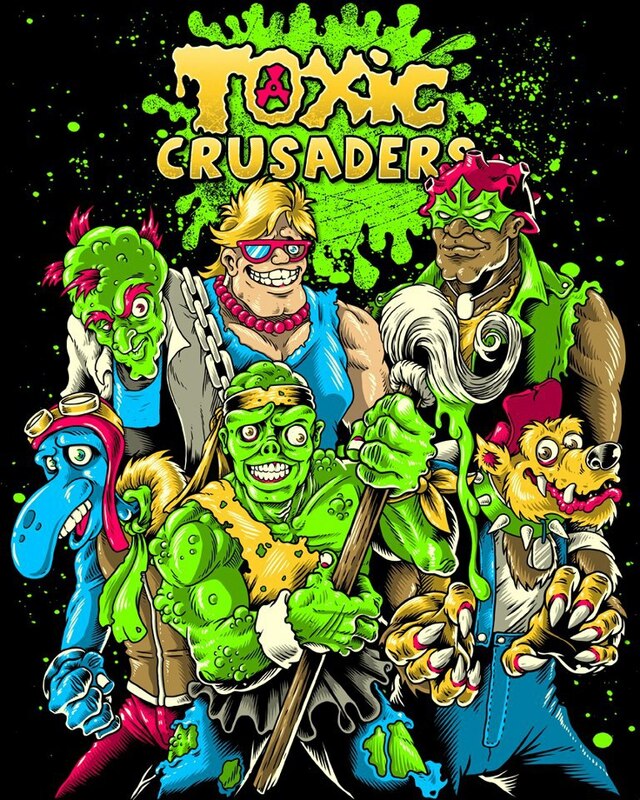 I mean, the bright colors, the design itself is very faithful to the characters and their designs, and not to mention the fact that we have yet to see a new Toxic Crusaders shirt in some time, makes it quite a cool piece to add to your collection! It also has quite a nice retro feel. It looks like a shirt that could've been released in the early 90s. I think this shirt design definitely stands out. I will gladly be in line to pick this one up and proudly wear this out on the town any night! You can pick up this shirt very soon on http://www.rottencotton.com.